SHANGHAI—Chinese car maker Qoros Automotive Co. named the former head of General Motors Co. ’s China operations as its new chief executive in a bid to revive the startup’s fortunes in the world’s largest car market. Phil Murtaugh ’s appointment is effective immediately, a statement on the company’s website dated Monday said. He succeeds Guo Qian, who resigned in December as chairman and chief executive to return to Qoros partner Chery Automobile Co., according to a Qoros spokesman. Mr. Guo couldn’t be reached for comment, and a Chery spokesman said he had no immediate comment. Qoros produces cars in China and is a 50-50 joint venture between China-based Chery and Singapore-based Kenon Holdings , which was spun off from Israeli investment firm Israel Corp. last month. It had hoped to woo customers in China with a mix of quality and affordability. But the brand sold just under 7,000 cars in China last year, the company’s first full year of sales, according to data from consultancy Automotive Foresight. In an October interview, Mr. Guo said that awareness of the new Chinese auto brand in China was falling below company expectations. Anning Chen, a Chery executive, has succeeded Mr. Guo as chairman. Stefano Villanti, head of sales, marketing and product strategy, has also recently left the company. He told The Wall Street Journal last October the startup period for the company had been “tougher than expected.” Mr. Villanti couldn’t be reached for comment on Tuesday. In November, Israel Corp.’s controlling shareholder, billionaire Idan Ofer, reaffirmed his support for Qoros following Chinese media reports that the firm was considering pulling out of the venture. Mr. Murtaugh is credited in the automotive industry with being a pioneer of GM’s earlier successes in China and has spent almost 16 years in the country. 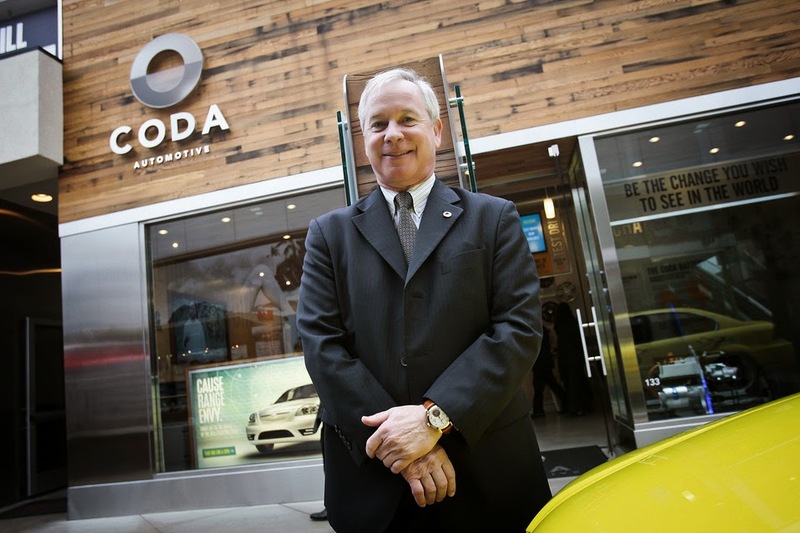 Most recently, Mr. Murtaugh headed the now-defunct Chinese-invested electric-car manufacturer Coda Automotive Inc.
Bill Russo, managing director of consulting firm Gao Feng Advisory, who worked briefly with Mr. Murtaugh at Chrysler in China, said Mr. Murtaugh’s challenge will be to create a car that appeals to buyers, whether they are in China or elsewhere. “The question is whether the world is waiting for a high-end Chinese car? So far the market is saying ’no,’ ” Mr. Russo said. Qoros is a joint venture between China-based Chery and Singapore-based Kenon Holdings, which was spun off from Israeli investment firm Israel Corp. last month. An earlier version of this article incorrectly said Qoros’s foreign partner was Israel Corp.